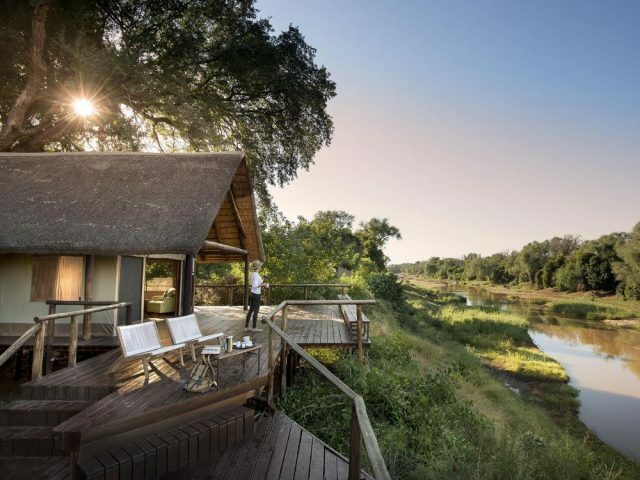 Fantastic setting right on the banks of the Mkuze River where you will enjoy stunning views from the privacy of your own private deck - the honeymoon suites even have jacuzzis to relax in as you admire the views of the river and animals coming down to drink! Amakhosi is actually closer to Johannesburg than many of the lowveld reserves! It makes for a great bush ‘n’ beach holiday combined with a stay on KZN’s beaches! For something completely different during the summer months, head out in your gumboots at night on a frogging safari adventure where you’ll be fascinated by the variety of colourful species you’ll encounter! This is prime country for keen birders, especially during the summer months when a host of colourful migrants from Europe can be seen! grab a long cold drink and slump on a lounger or hammock on your suite’s private deck and after an hour of just watching the river gently rolling past we guarantee you that your stress levels will have dropped to imperceptible levels! 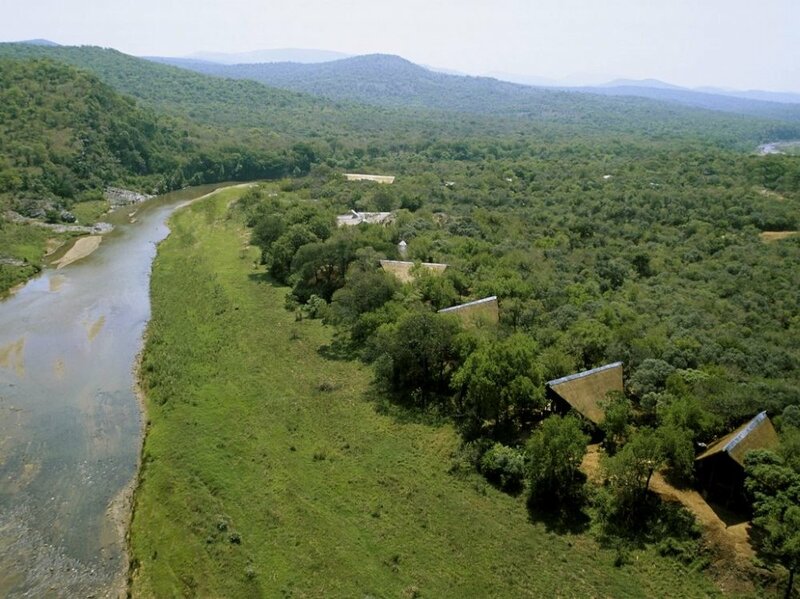 One of the absolute highlights of Amakhosi has to be the lodge’s sensational setting – right on the verdant banks of the Mkuze River. Somehow there is something about the sight of flowing water that mesmerises and relaxes you – grab a long cold drink and slump on a lounger or hammock on your suite’s private deck and after an hour of just watching the river gently rolling past we guarantee you that your stress levels will have dropped to imperceptible levels! 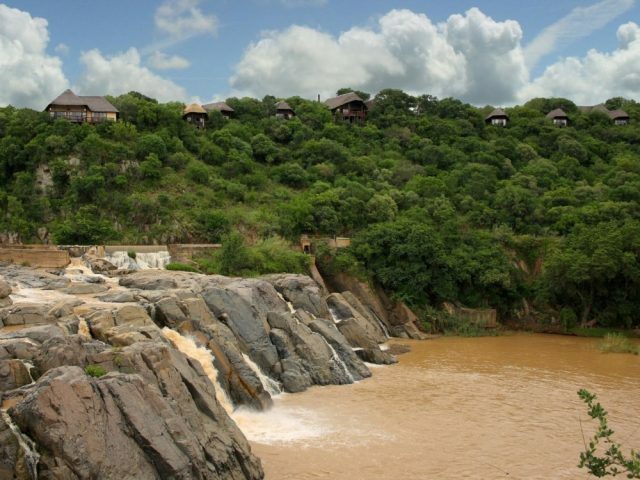 The riverbank with its gorgeous trees is home to the main lodge and 6 river suites and 2 honeymoon suites. They are quite unusually styled in that they boast very high thatched roofs with the design meant to evoke the look of a Zulu shield. At the front of the suites are floor to ceiling windows which open up the rooms to the views outside beautifully and really connect them to the bush outside. You then have a lovely wooden deck outside, complete with comfy chairs as well as a hammock for if you really feel like getting horizontal – it’s a place where you can spend many relaxing hours just chilling with a good book or perhaps armed with a pair of binoculars and bird book to see how many species you can tick off before you find yourself nodding off, overwhelmed by the complete peace and tranquillity! Inside the suites have all the necessary amenities (the air-con is especially welcome on those sweltering Zululand summer days!) and they are attractively decorated in a style which combines traditional Zulu artefacts with a colourful modern touch. Each suite boasts a lounge as well as an en-suite bathroom with a shower wet room and romantic bath for two – you’ll return from your evening game drive to find the bath already run and lit romantically with candles! If you can stretch though, our choice would have to be the 2 Umntwana (meaning 'a child of Royalty' in Zulu) Honeymoon Suites which offer the ultimate in privacy and tranquillity. They are larger and more spacious and the clincher has to be the private Jacuzzi bubble pool on your deck overlooking the river – what could be better than sharing a bottle of bubbles in your Jacuzzi together whilst watching the animals grazing quietly on the river bank in front of you! The main lodge is also a great place to while away the hours - you will find a swimming pool and deck overlooking the river (on those hot and lazy afternoons, the poolside loungers are a hugely attractive option!) a library, curio shop, bar, inside & outside lounge and dining room. If the weather’s good chances are you’ll enjoy delicious evening dinners in the traditional boma around the camp-fire under the star-studded African sky, entertained with traditional Zulu dances and ancestral stories –an utterly unforgettable experience! Two game drives a day give you the opportunity to observe the Big Five as well as an abundance of other wildlife. And at the same time you can also sit back and enjoy some of the most gorgeous landscapes of any reserve in South Africa – unlike the largely flat and featureless bushveld that dominates much of the lowveld reserves, here there is a very varied and diverse environment including river wetlands, mountains covered with thick bush and grasslands as well as rolling valleys with the Mkuze River a dominating and very attractive feature. Amakhosi utilises trackers as well as rangers which we always prefer as with their superb eyes, bush knowledge and tracking skills you inevitably see more than if it was just a ranger trying to do everything alone. 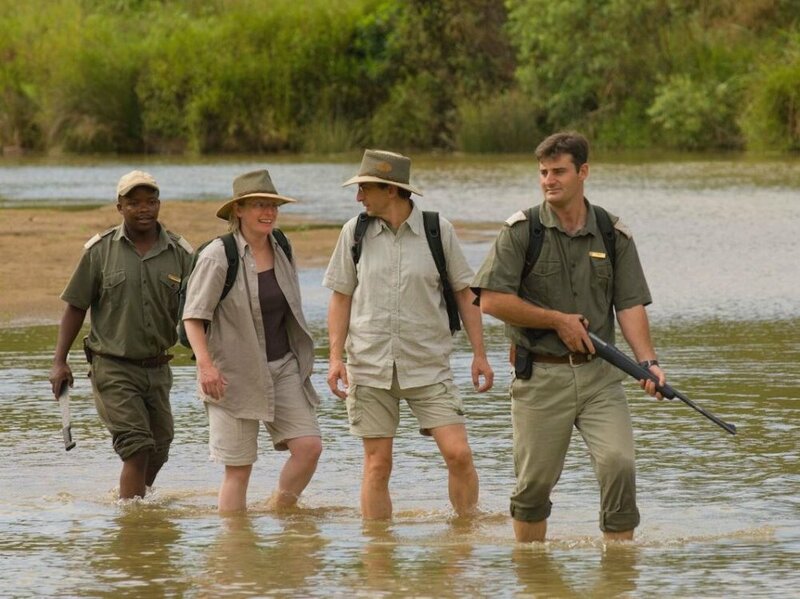 A walking safari brings you closer to the heartbeat of the bush where you can discover, step by step, a new world. Knowledgeable guides know exactly where to take you for exciting, yet safe encounters with pristine fauna and flora – reminding you at the same time how small you are compared to the magnitude of nature. When the rains come, you can discover the fascinating world of amphibians on seasonal frogging safaris - these night safaris take you deep into the bush and mud to marvel the spectrum of colours and designs and the loud callings of mating frogs that croak out like a marching army! From the moment you arrive at Amakhosi, you can expect luxurious accommodation, outstanding cuisine and excellent game viewing. 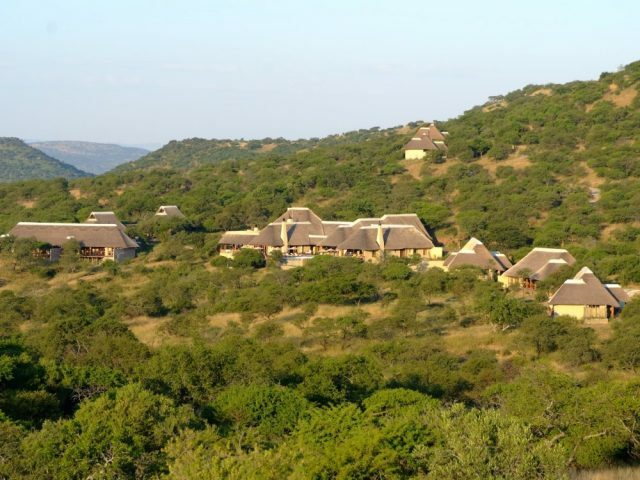 As you can see from a quick look at Tripadvisor, Amakhosi garners consistent rave reviews – testament to the royal treatment handed out by the wonderfully friendly staff to everyone lucky enough to visit! Babysitting facilities are available at a extra cost.